Knights of the Round is an arcade game released by Capcom in 1991. 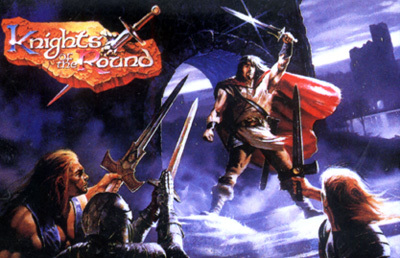 A side-scrolling beat 'em up based loosely on the legend of King Arthur and the Knights of the Round Table, the game features an RPG-like level advancement system, with fighters getting new weapons and armor as they advance through the game. The game was ported to the Super NES in 1994 and in Capcom Classics Collection: Reloaded for the PSP in 2006, as well as Capcom Classics Collection Vol. 2 for PlayStation 2 and Xbox.